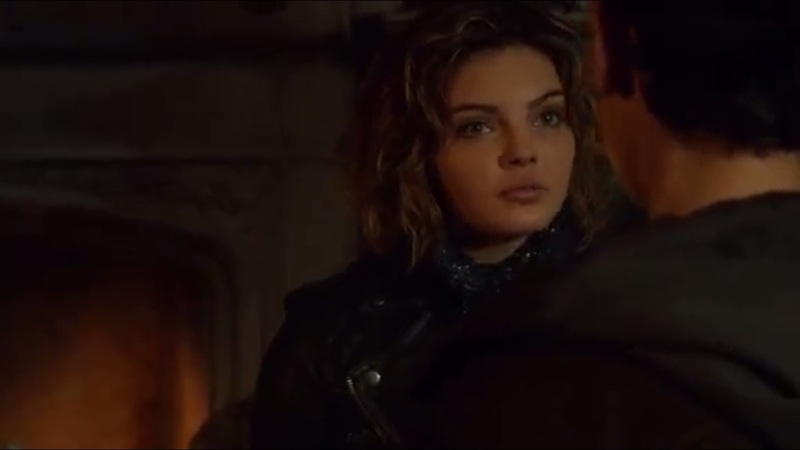 A Look at Gotham- Season 2, Episode 17: “Wrath Of The Villains: Into The Woods” | What Else is on Now? 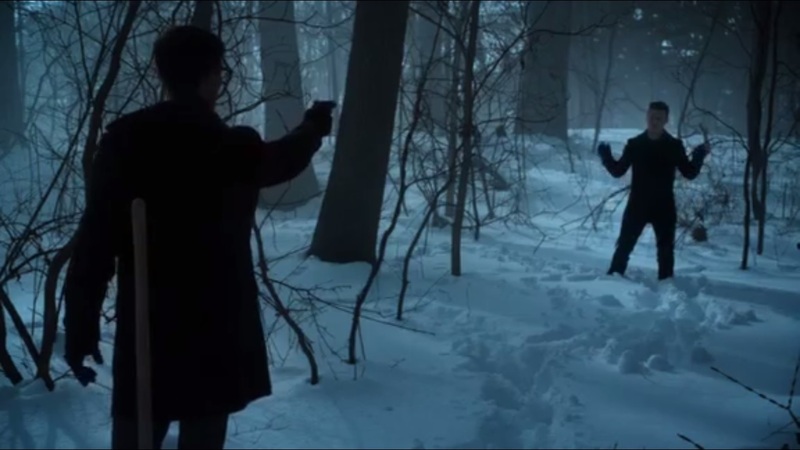 “Into the Woods” isn’t that compelling of an episode with Jim confronting Nygma in his attempts to clear his name, but it did have a few tense moments. Meanwhile, Penguin gets his mean streak back and Bruce Wayne tires of life on the streets. Why? Because the plot and writing demand it. 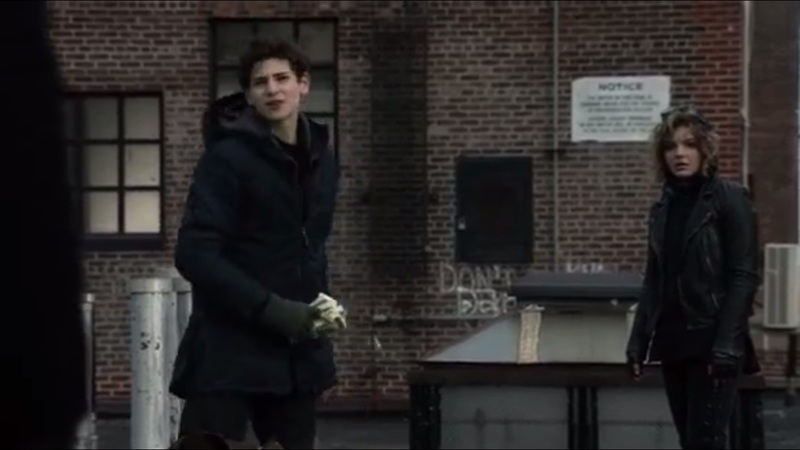 The episode begins with Bruce and Selina running on a rooftop to escape a man whose bag they stole. They somehow jump from one rooftop to the next and Bruce pours out the man’s money. He doesn’t steal for the money, and Selina is frustrated that he’s trying to understand criminals. Gotham City is on high alert due to Jim escaping Blackgate. 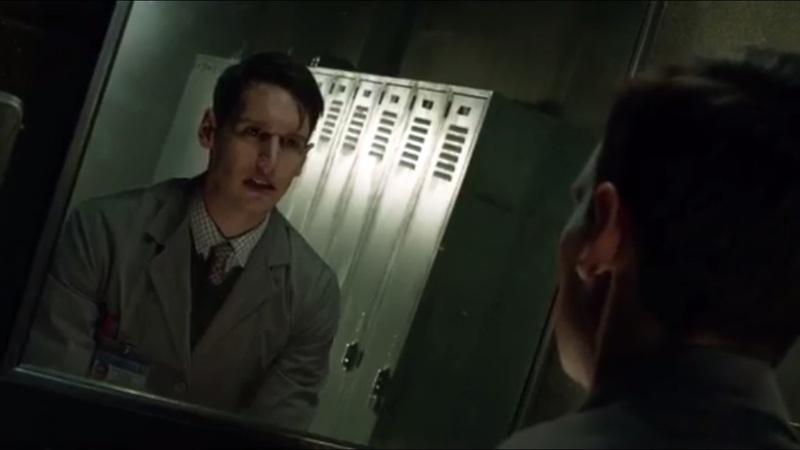 Nygma asks Bullock what Jim will do, and Bullock responds that Jim won’t rest until he finds the man who framed him. Bullock tells Barnes that he still doesn’t believe Jim killed Pinkney. Barnes warns Bullock that if he’s sheltering Jim, he’s in just as much trouble, but Bullock denies it. And then we cut to Bullock’s place as Jim tries to find a connection with this elaborate frame. Bullock figures whoever did this was very meticulous and probably a cop. After all, how could they get access to the crowbar at the crime scene? Bullock reminds Jim that he has a knack for making enemies. If Jim wanted to, he could run away and still have a life. Bullock then informs Jim that Barnes is on the hunt. Though Bullock has been threatened, he made his choice. Jim doesn’t want to live the rest of his life as a fugitive, so he has to clear his name. How? Dent mentioned recorded calls on archive, so the eyewitness who called into Internal Affairs could be on tape. If that tape exists, it would be locked in evidence. Lucky for Jim, Uncle Harvey has connections. After making a call, we get Bullock getting it on with an officer that likes it rough. With a brief window, Bullock hands Jim a set of keys. Jim then slips into Internal Affairs and goes through a set of personnel files. He finds his case file and a tiny film reel. With his tape in tow, Jim then stops two men who are in the middle of assaulting a woman. Jim is then almost apprehended by a GCPD officer who he manages to put down long enough so he can escape. 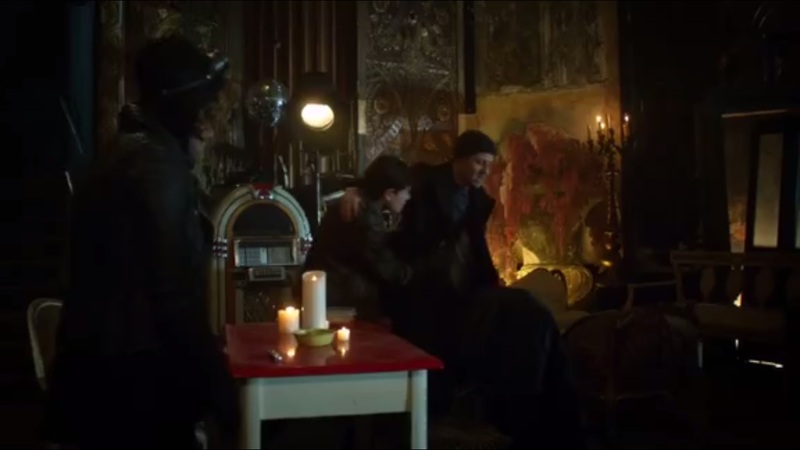 Then we cut to Oswald bidding Elijah farewell. 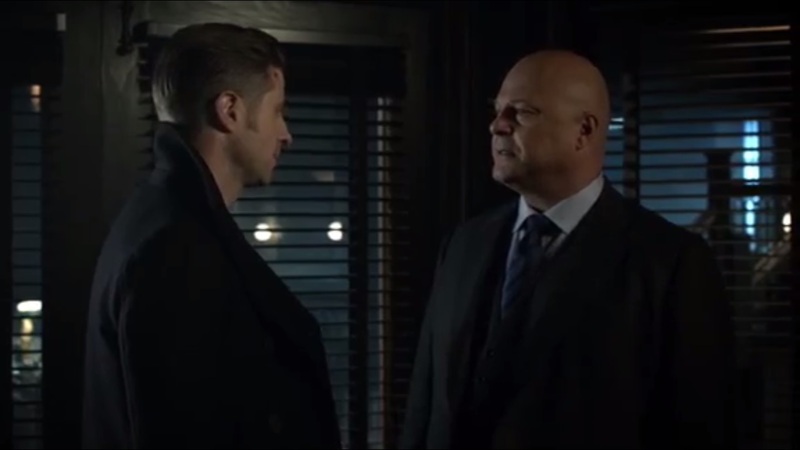 He thanks Elijah for coming to him when he was alone and giving him a family, and for that, Oswald will never forget Elijah. Grace tells Oswald that they need to talk practicalities- as in he’s not allowed to return to the home with them. After all, the house was left in her name and she doesn’t want to share a roof with a man like him. Oswald begs to be accepted and offers to do anything. Never say anything. Grace then realizes that she can save money on housekeepers when she’s got Oswald. Really, Grace worries that Oswald could get a good lawyer. After a good amount of time, Grace figures that Oswald will be so depressed that he’ll take his own life. At Arkham, Barbara tells a circle of other inmates how she murdered her parents, joined the Maniax, and how she was a puppet of demons in her head. Basically the Cliffnotes version of her character arc. Also, those demons were the spawn of bad writing. Barbara wishes she could undo her sins, but she can’t. She doesn’t feel insane now, just sad. Hugo thanks Barbara for her bravery and asks what led to this helpful change. Barbara figure she just needed sleep. Peabody thinks that it’s an act, but Hugo has no idea. He’s intrigued by Barbara and doesn’t want any therapy for her just yet. Jim tells Bullock that he just walked around town. The governor has put out a bounty on Bullock’s head. For the right price, Bullock would turn him in himself. The two listen to the tape, but the voice has been heavily altered. They need someone to clean up the tape and isolate the voice, but Bullock has to head back due to Barnes watching him like a hawk. Gordon tells him to stay away for now. As for Jim, he has a friend he can ask. And that friend is Edward Nygma. 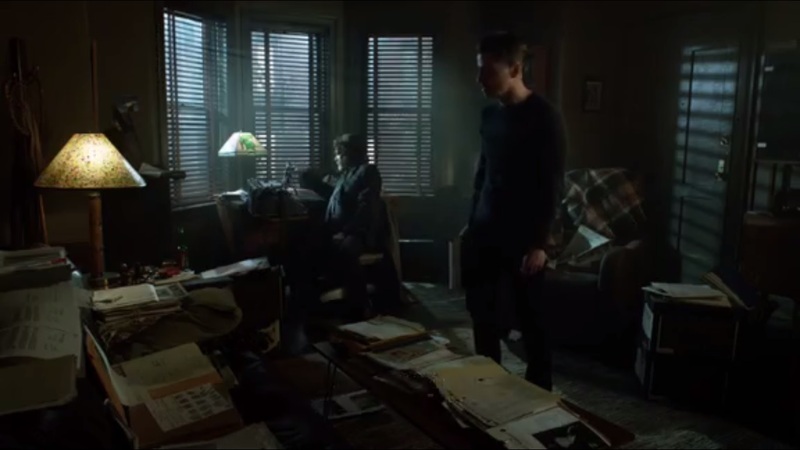 Jim tells Nygma that he needs help finding the man who framed him. Jim presents the tape. Since Ed works with audio, Jim figured Nygma could help. Back with the family, Grace pretends to be less than satisfied with Oswald’s dinner. She then orders him to put away the dishes. As she leaves, the kids pelt Oswald with food. Nygma checks the audio and does indeed hear a bird. He believes that it’s a dead end, but Jim asks if he can at least clean up the tape. 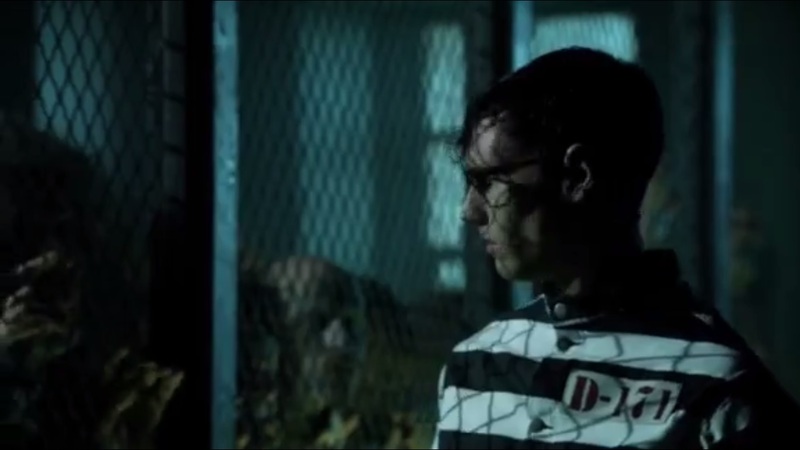 Nygma figures the same man who framed Jim also attacked the art museum. Jim figures it was Loeb wanting payback- everything points back to a cop or someone who has access. Jim notices Nygma acting a bit shiftier than usual. Then Jim notes that Loeb might have had some psychopath do his dirty work for him. But Nygma counters that Jim killed many people, yet someone who killed in cold blood is deemed a psychopath. He then wonders about Jim really killing Galaan. Jim asks if Penguin talked about the night Galavan died. Nygma trips over his words just as the tape finishes. The two listen to the tape- the voice is still a bit distorted, but they then hear not a bird, but a mechanical. Nygma then presents a riddle: Without fingers I point, without arms I strike, without feet I run. What am I? Jim guesses a clock. Correct, and that indicates that Nygma did the framing. But Nygma knew that Jim knew that he knew. That’s why Jim’s chair is wired and delivers a nasty shock that knocks him out. 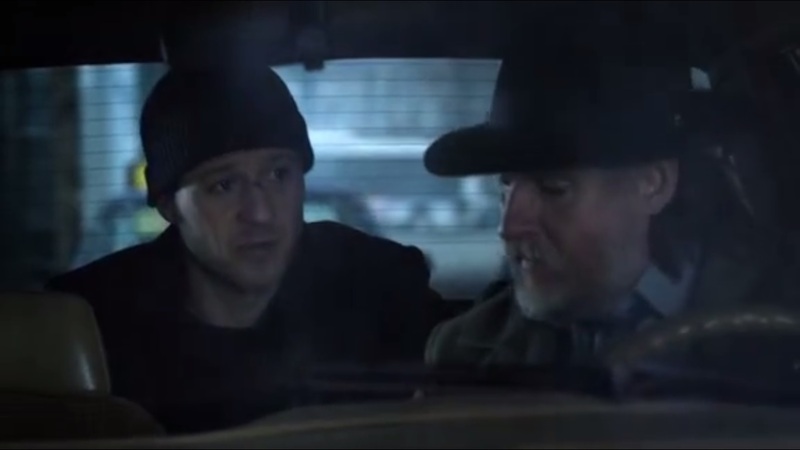 Nygma drags Gordon’s body out back, but when he opens his trunk, Jim uses that moment to escape. But not before Nygma plants a bullet in his leg. 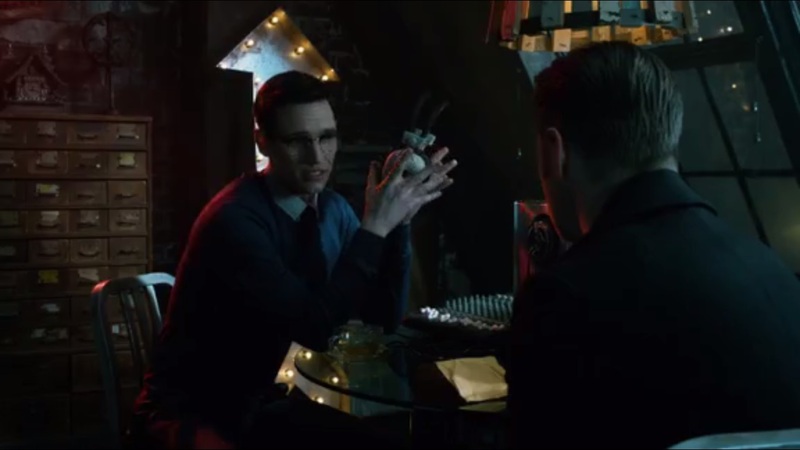 Nygma then answers the question Jim might be wondering about why Ed would frame him: Kristen Kringle. 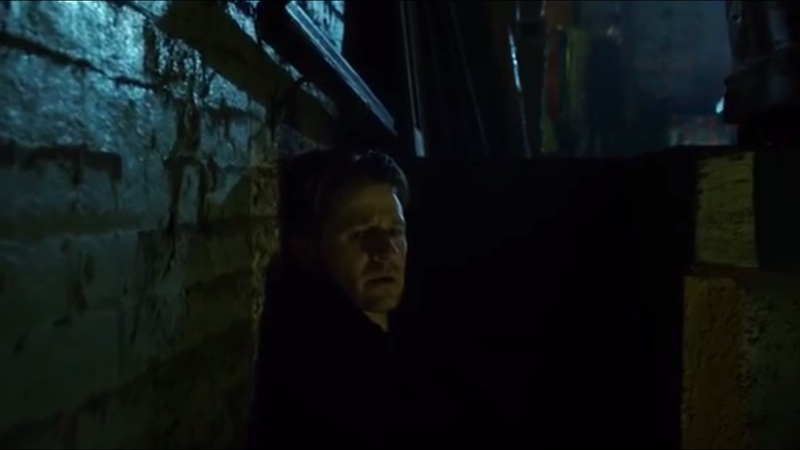 Nygma fails to catch Gordon. Back to Bruce and Selina. He sewed her jacket since it’s apparently a skill for young bachelors. Through absolute luck or other means I don’t understand, Jim stumbles in and tells the two that he found the man who framed him. That’s as much as he can say before passing out. 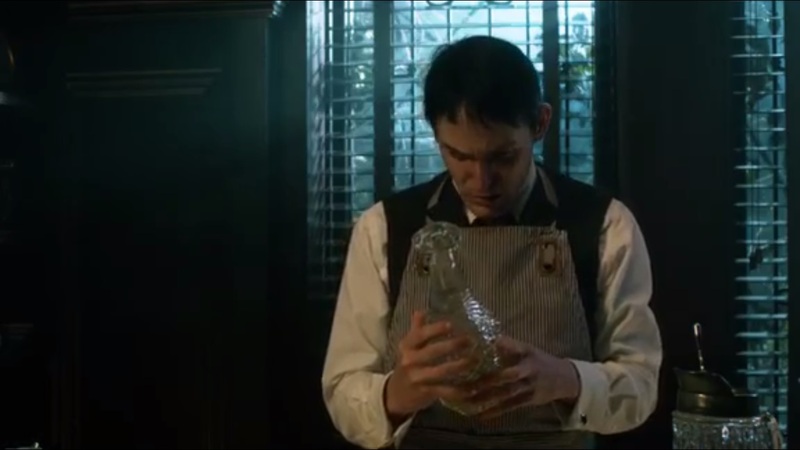 As Oswald prepares Grace’s drink, he finds the same vase Elijah drank from before he died. Just when Grace leaves when her drink, Oswald inspects the vase and detects a foul odor coming from within. He pours a bit for the dog, who digs right in. The kids walk in and remind Oswald to prepare their roast. As they leave, Oswald laughs at the now dead dog. The next day, Jim awakens at Jim to Wayne Manor. Bruce thanks Alfred for coming by when he called. Before the two can talk, Gordon awakens. Alfred serves him breakfast and explains about how long Bruce has been living on the streets since the Matches Malone incident. Jim regrets not getting there first, but you can’t unfry an egg, as Alfred’s mom used to say. So Alfred switches to Jim’s story. He figures out what happened and asks how Jim will get out of this dilemma. Indeed, Jim has a plan. At Arkham, Dr. Hugo Strange declares Barbara sane and has her driven into the city. Peabody warns Strange that his reputation will be harmed if he keeps releasing inmates. While Strange has no idea what Barbara will do, he’s sure that it will be interesting. Jim needs hard proof. He thinks that Nygma buried Kristen Kringle and that he knows where she is. He’ll need help to find her, but that requires someone that Barnes knows will betray him. That would be Selina Kyle. We then cut to Selina entering the police department, revealing that Jim had recently been by her place, but he’s gone now. Such information isn’t worth $10,000, so Selina reveals that Jim also planned to see Penguin about finding the body. Selina still gets no reward. A flustered Nygma heads to the locker room and speaks with his other self about the possibility of Jim finding the body. 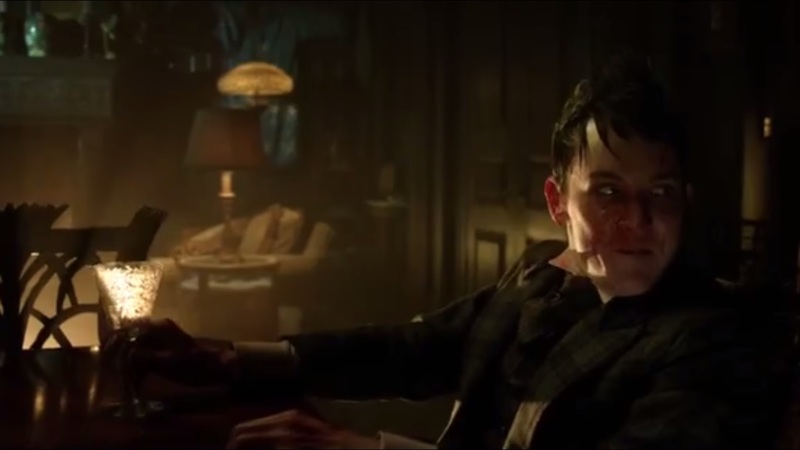 Nygma calculates the possibility of Jim finding Penguin and Penguin then telling Jim about the body- both match up to 80 percent. 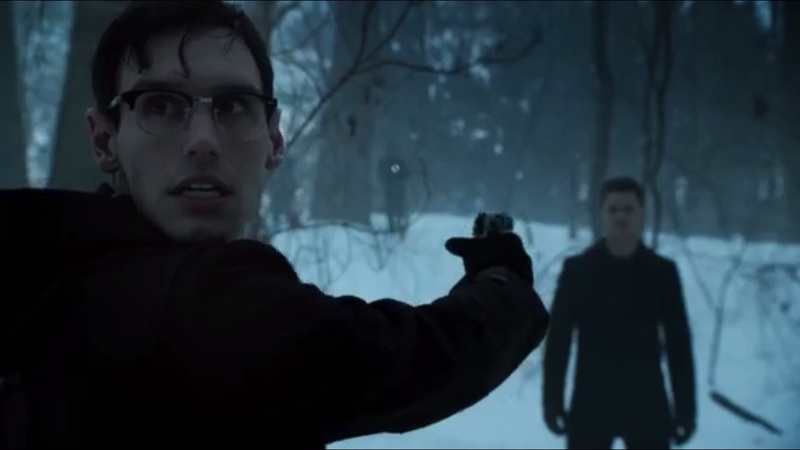 So Nygma then heads back to the woods so he can move Miss Kringle’s body. 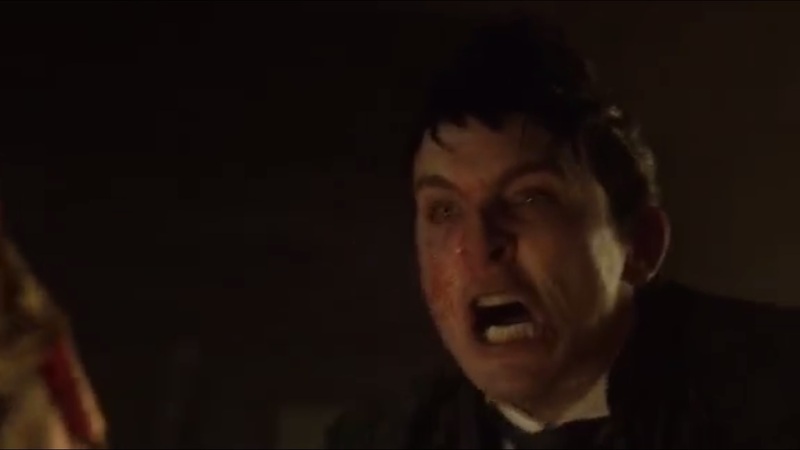 He spins around and points his gun at Gordon, who reveals that he didn’t talk to Penguin- just followed Ed. Regardless of his methods, Nygma has the gun. Jim asks Nygma how he became this. Nygma says that this is who he is, but he’s now admitting the truth. He says that Jim of all people should know what it’s like to have a monster inside of you. Nygma offers one last riddle: a nightmare for some, for others a savior I come. My hand’s cold and bleak, it’s the warm hearts they seek. The answer? Death. 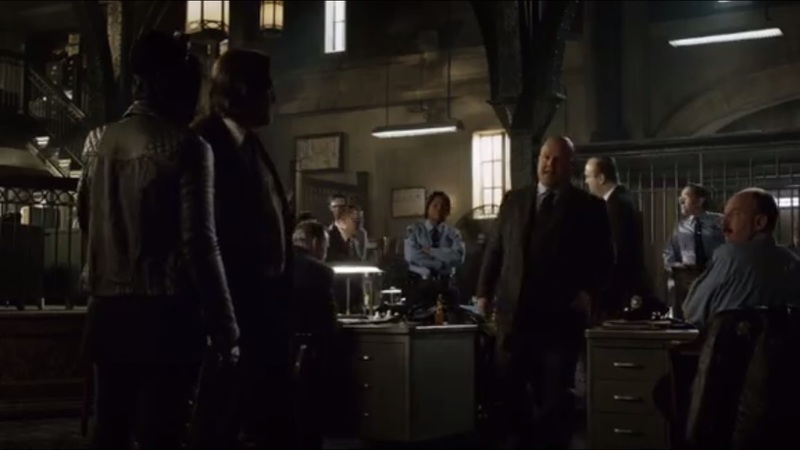 Before Nygma can fire, Barnes, Bullock, and GCPD arrive on the scene. Nygma’s feeble attempt to get away gets him a few feet away before he trips in the snow. 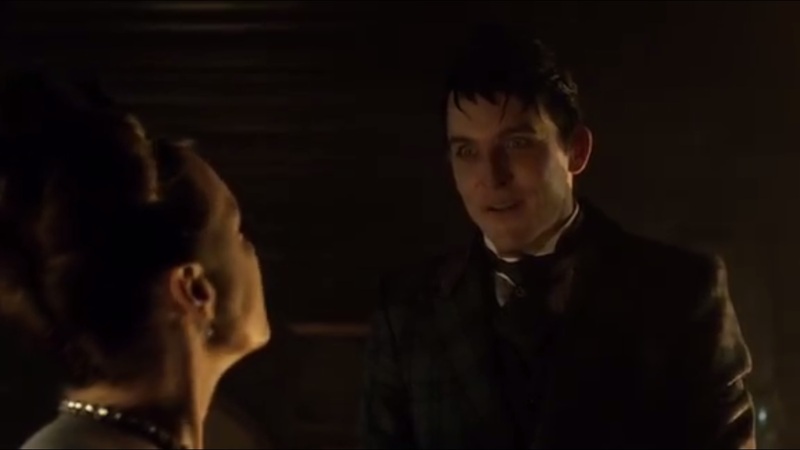 Oswald serves Grace a meal she finds to be overcooked. Both meats are, apparently. She asks about the children, but Oswald doubts that they’ll hear the dinner bell. 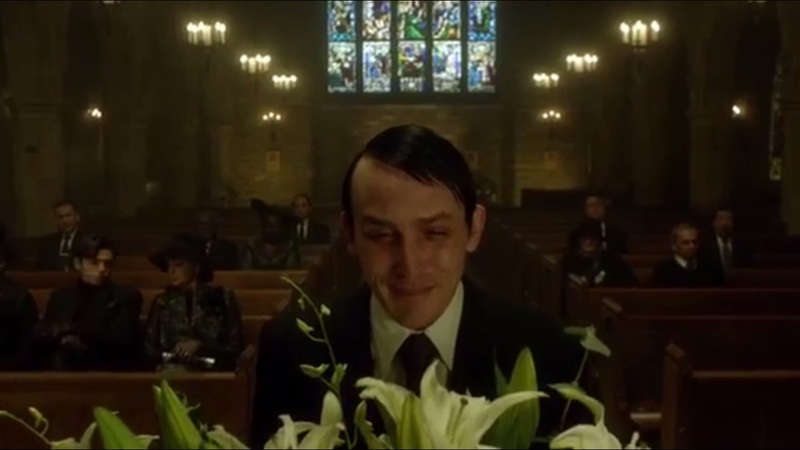 Oswald changed his hair and tells Grace that he found the poison used to kill Elijah. She should have thrown it away. Oh, and he two meats didn’t taste the same. In fact, Sasha was tenderer. Oswald takes a blade to Grace. Barnes apologizes to Jim, who asks him to take it easy on Bullock in return. Jim won’t be coming back to work yet. There’s something he has to do. Barnes then gives him Leslie’s number, as she’s working for a medical examiner down south. Jim tells Barnes that he promised to solve the Wayne family murder, but Barnes reminds him that the case is closed. There are too many unanswered questions. Barnes promises to give Jim the Wayne family files if Jim promises to call Leslie. Bruce tells Alfred that him leaving isn’t Alfred’s fault. 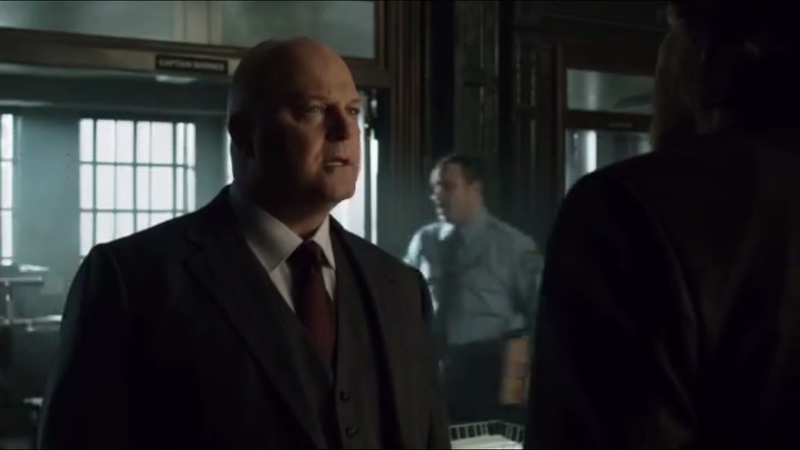 In response, Alfred informs Bruce that Lucius Fox fixed Thomas Wayne’s computer. 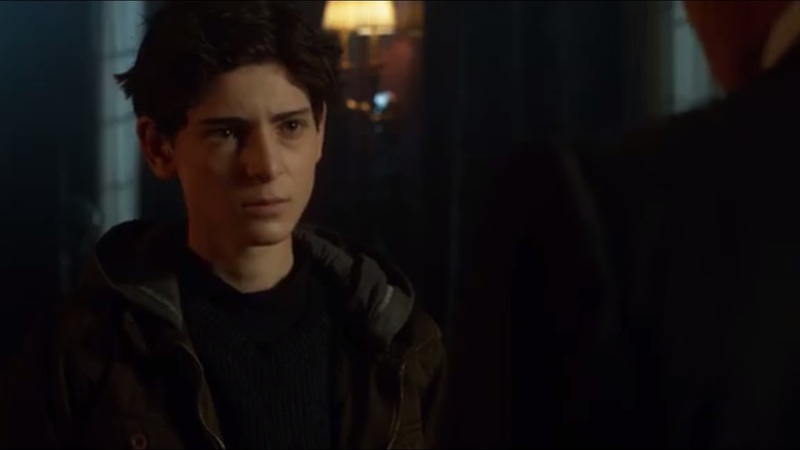 He’s wants to access the information, but Alfred worries that Selina could walk in. Whatever Thomas Wayne did, it was in secret for a reason. Alfred won’t have Bruce put Selina’s life in danger- it’s either the work or her. Selina enters and is ready to leave. Bruce tells her that he’s not going back. While he’s grateful for what she taught him, his place is here at Wayne Manor. Selina, insulted, heads off, telling Bruce to have a nice life. She later tosses off the jacket that Bruce stitched. 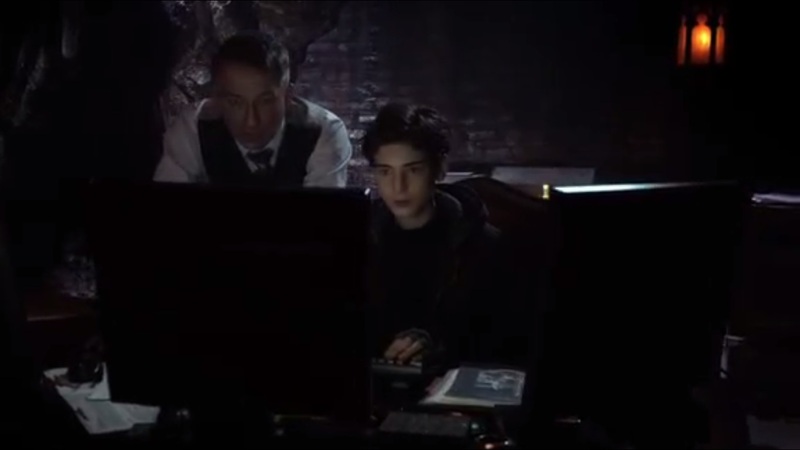 Bruce and Alfred later begin accessing Thomas Wayne’s computer. 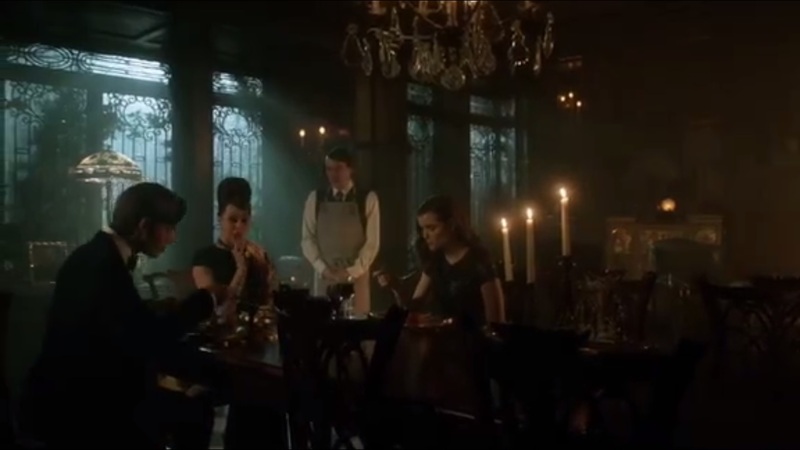 Nygma is carted into Arkham Asylum while Oswald dines with a dead Grace sitting across from him. Jim calls Leslie, but upon hearing her voice, Jim hangs up. He then receives an unexpected visit from Barbara. 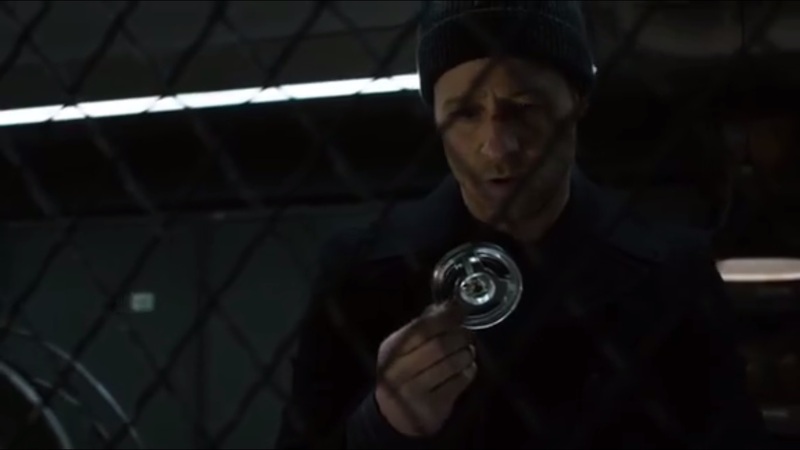 Even though Gordon deserved incarceration for killing Theo Galavan, the show has sped forward to give us his quest for justice against the person who framed him. 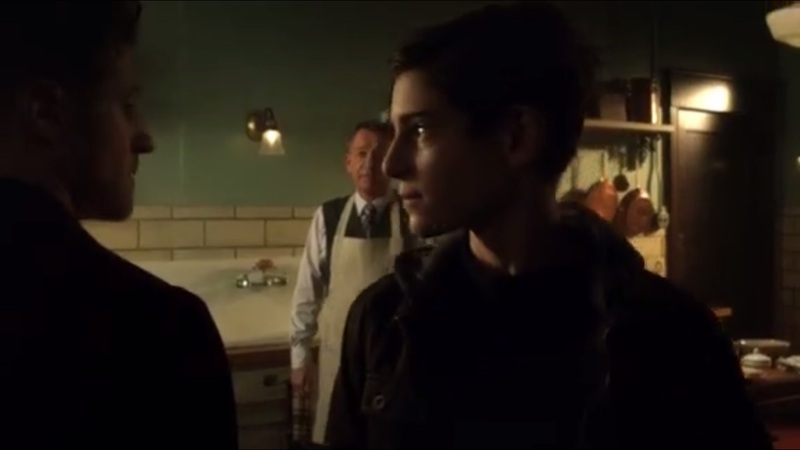 It would be easy for Gotham to just have Jim confront Nygma without any sort of moral dilemma or getting into either of their heads. 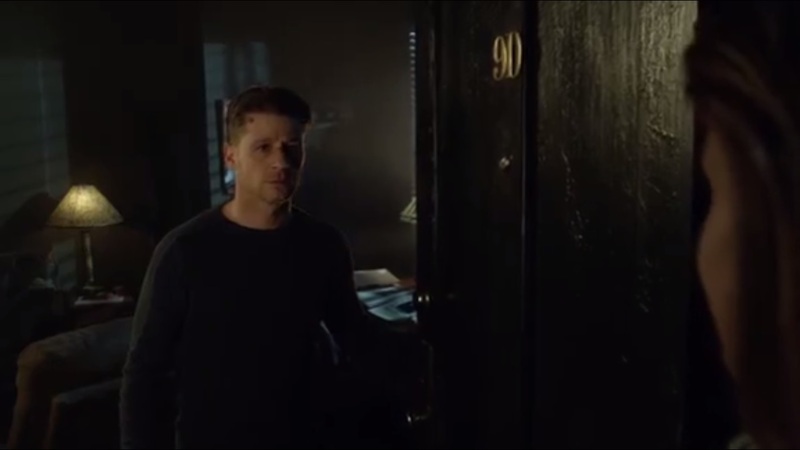 But luckily, Gotham doesn’t let Gordon off that easily. 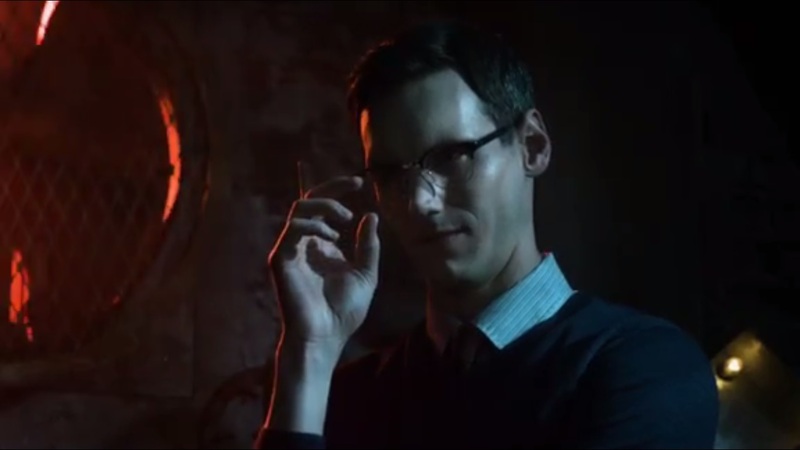 As Nygma asks, what’s the difference between Jim killing Theo Galavan and Ed killing Miss Kringle? Jim can try to say he kills on the job, but he didn’t do so with Galavan. Murder is still murder, whether justified or otherwise. 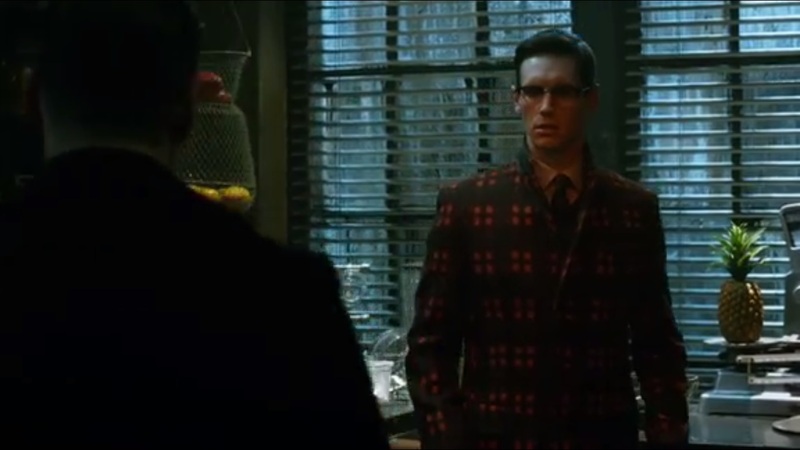 And who better right now than Nygma to point out this gray area? While a lot of the Batman villains showcased on Gotham have had their backstories done in a short period, the advantage with Nygma is that we’ve been with him from the start. He’s been a constant observer in the background and knows how these officers think. 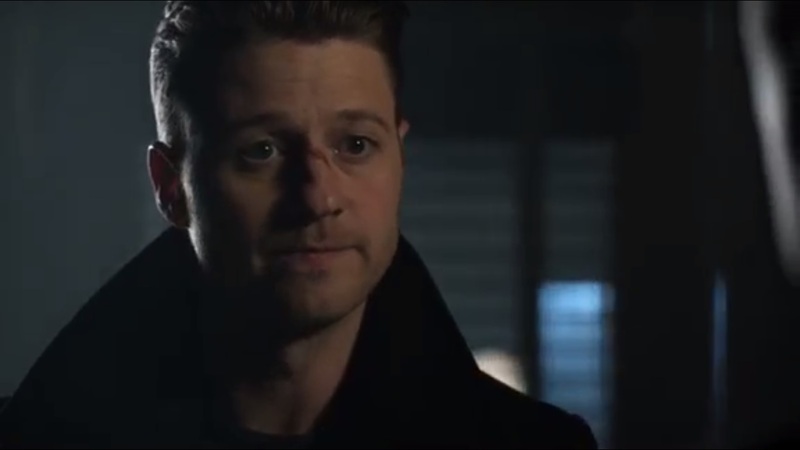 And he’s seen Gordon’s rise and fall in the GCPD. So in his mind, he has a good take on Jim’s character and what it’s like to have a dark side. 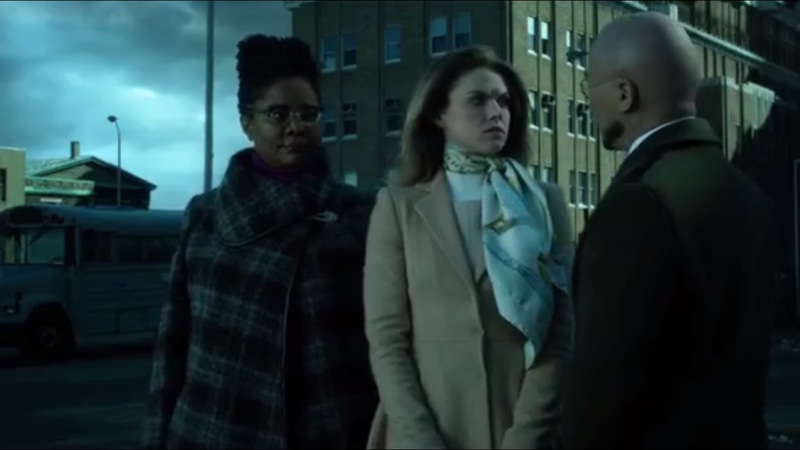 Granted, Nygma is in no position to talk since he chats with his alter ego and choked Miss Kringle, but at least he challenges Jim’s take on murder instead of just rolling over and let himself get arrested. Nygma is still an intelligent man who took careful steps to frame Jim. The scene where Ed unscrambled the tape for Jim was one of the better scenes of the episode if just for the little bit of tension. Had Nygma not helped, it would have just made him look suspicious. And rather than cower upon being exposed, Nygma reveled in his deed and took even further steps to stop Gordon if he wound up caught. And while Jim is able to work again, we see that his conscience still bothers him since Nygma got under his skin. While he’s been vindicated for now, he still has Galavan’s murder on his hands. In addition, he still wants to solve the Wayne family murders, which seems like a way to have him interact with Bruce again. The murders haven’t been high on Jim’s list of priorities, so I’m baffled why he’s now turning his attention to this case. I can understand why Bruce does. Well, actually, I can’t, because until Alfred said anything, it looked like Bruce was getting adjusted to live on the streets. 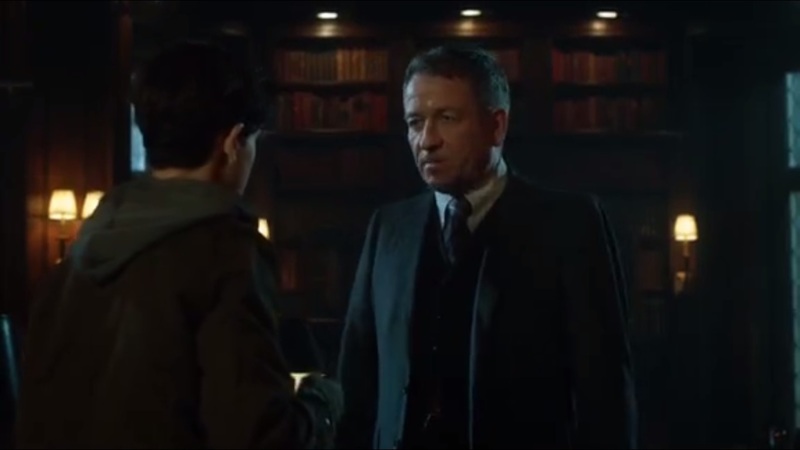 But once Alfred revealed that the computer had been fixed and gave his reasons why Bruce needed to make a choice, he did. But this didn’t feel organic because it wasn’t. Bruce wrote out this whole letter about why Alfred shouldn’t try to make him come back home. He’d been resolute about fighting evil in the streets of Gotham by learning about their environment, but the second he has a chance to learn more about his parents, he abandons his quest. What about combatting wrongdoing in the city? That’s dropped when Thomas Wayne’s computer enters the scene again? Let Bruce come to his own conclusion. Don’t force him back home and create yet another conflict between him and Selina that will be blown over in no time at all. And really, I don’t see why Bruce wouldn’t just tell Selina his intentions and warn her to keep away. She would have done the opposite, but at least he’d have been honest about it. As of now, it just looks like Bruce has just learned how to take a beating and steal money, both things he could have learned without Selina’s help. Side-note, I don’t see why Alfred cares so much now about Selina’s well-being when he previously wanted her to stay away from him and said that his life would be better without her. We all knew Penguin would be back to his old self in no time. It was just a matter of waiting for the right moment. Or for Grace to leave the poison. For even Penguin to question it felt like the writers didn’t have an explanation as to why Grace would leave it around when anyone could find it. Dr. Hugo Strange’s declarations of sanity don’t hold up for long. Well, maybe things will go different with Barbara. Yeah, you’re probably right. I don’t see that happening. This entry was posted in Gotham and tagged Alfred Pennyworth, Arkham Asylum, Barbara Kean, Batman, BD Wong, Ben McKenzie, Bruce Wayne, Bruno Heller, Camren Bicondova, Cory Michael Smith, David Mazouz, DC Comics, Donal Logue, Edward Nygma, Erin Richards, Ethel Peabody, Gotham, Harvey Bullock, Hugo Strange, Jim Gordon, Justin Mark, Kaley Ronayne, Melinda Clarke, Michael Chiklis, Nathaniel Barnes, Oswald Cobblepot, Penguin, Robin Lord Taylor, Sean Pertwee, Selina Kyle, Tonya Pinkins by omarid513. Bookmark the permalink.